Thomas Dunne Books, 9781250051936, 272pp. LOUISA TREGER has worked as a classical violinist. She studied at the Royal College of Music and the Guildhall School of Music and worked as a freelance orchestral player and teacher. Treger subsequently turned to literature, gaining a First Class degree and a Ph.D. in English at University College London, where she focused on early 20th century women's writing and was awarded the West Scholarship and the Rosa Morison Scholarship "for distinguished work in the study of English Language and Literature." 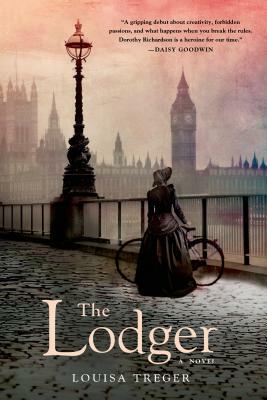 The Lodger is her first novel.